The small size mixed media drawings have been gradually finding their space in my practice. A few of them assembled themselves into the Day and Night series and were on display at the Keep, Reading, during the Open Studios OHOS members’ annual exhibition -” Desire lines”, May, 2015.The form of an artist’s book used to trace the artist’s working process may miss the infinity. 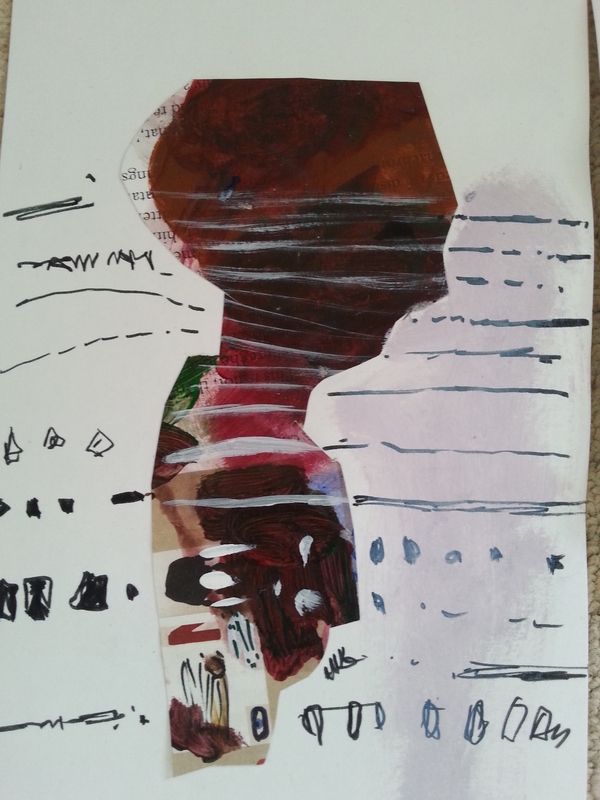 The expressive drawing, with casual, easy going character of a note, allow the spontaneous use of any material -paper, cardboard, discarded drawing, old vinyls,found images.